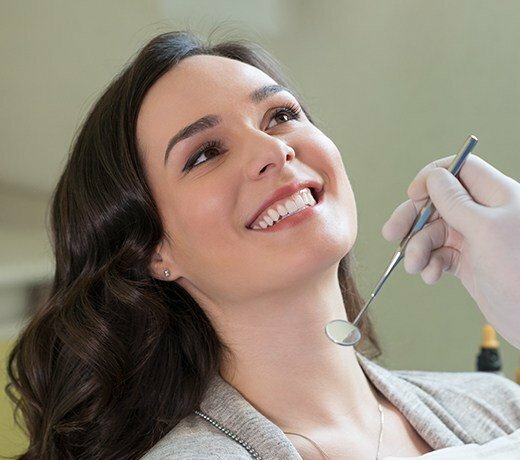 A checkup and cleaning are two of the simpler services we provide here at Ultimate Dental, but they are by far some of the most important. By attending just two preventive appointments each year, we can make sure that you and everyone in your home are free of decay or damage that could turn into a big headache later. If it has been more than six months since you or your child’s last checkup and cleaning, be sure to schedule one today! 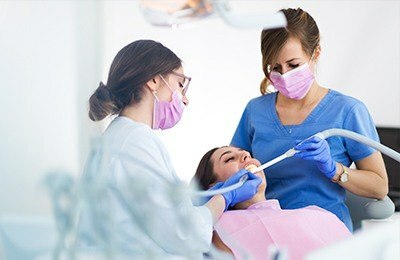 Why Choose Ultimate Dental for Checkups & Cleanings? Why Checkups & Cleanings Are So Important? Most oral health problems show little to no symptoms early on, leading many patients to not notice a cavity or infection until it is quite advanced and probably causing them pain. Checkups are how we find and take care of small issues before they can turn into big (and expensive!) ones later. 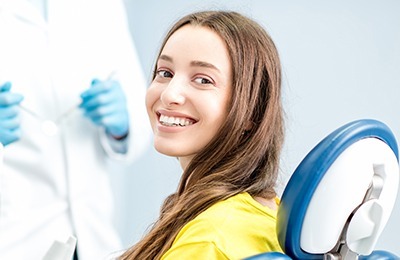 Plus, with a cleaning provided by one of our expert hygienists, we can remove plaque and tartar from the teeth and prevent many small problems from developing in the first place. Over time, this means a patient will have a healthier smile and spend less on their dental care—a big win-win! When you come in for a checkup, Dr. Hadad won’t just examine your teeth, but your gums, jaw, and bite as well. 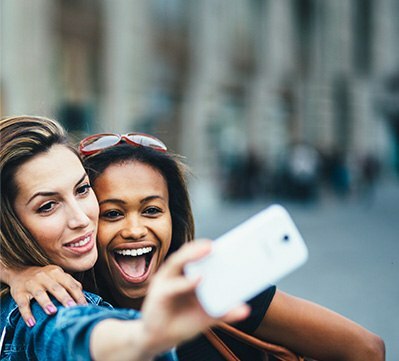 All are important elements when it comes to your oral health, and she’ll be able to detect any issues that might be present. If she finds something that requires additional care, she’ll go over all of your treatment options. Then, that’s when our hygienist gets to work their magic. Using their keen eye and sophisticated tools, they’ll systematically remove plaque and tartar from your teeth, particularly targeting those small areas your brush and floss can’t reach at home. After one final polish, that’s it, and you’re done!